In Old Quarter, it seems to me that in every corner, you can find some street vendors. They can sell flowers, fruits and of course food. And you might feel a little bit hungry after walking quite a lot, so why not try some interesting foods for your lunch. 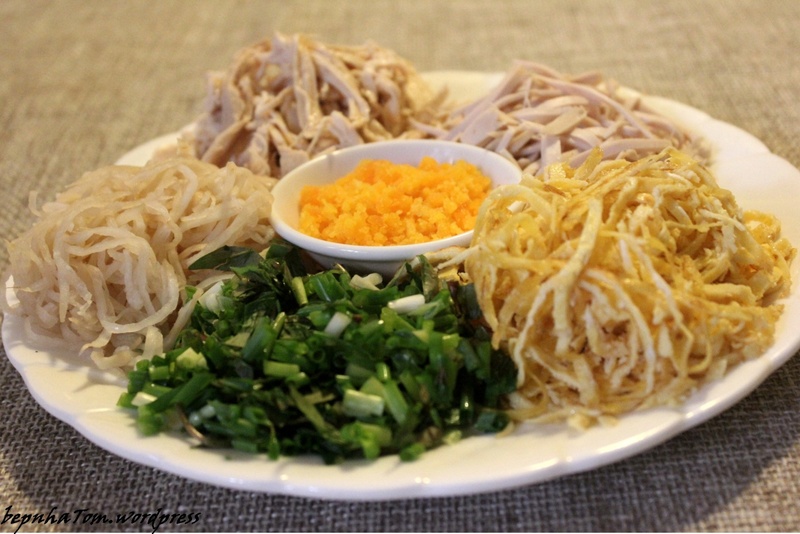 Hanoi has many different kinds of noodles. You are quite familiar with pho, so today, I am proud to introduce a cousin of pho, Bun. Bun may not be as famous as its relative, but its attractiveness is undeniable. Hanoian can eat Bun anytime, either for breakfast or for the late meal at night. There is one more interesting fact about that guy, which is its diversity and its flexibility. Bun can be eaten with almost all kinds of food so this wonderful noodle has many versions. Let me introduce you some of them. In the early morning, breaking dawn exactly, I think it is around 3 am in the morning, you can enjoy Bun Thang at 81 Yen Ninh. It is soooo delicious. To cook a perfect Bun Thang bowl, the chief has to acquire many outstanding skills since this special dish composes many ingredients and each ingredient needs to done in many different and special ways. For example, egg has to be fried very or extremely thinly, like a piece of paper. The soup has to be simmered for hours and hours. The chicken and all other ingredients have to be fresh. So, to make a wonderful bowl of Bun Thang, you can imagine how skillful the cook is. Besides Bun Thang, there are many other delicious dishes of Bun. For your lunch, Bun Cha will be a perfect option. Have you ever known that the previous American President Barack Obama enjoyed Bun Cha when he visited Hanoi last year? Bun Cha, the name tells itself. This delicious food includes bun, a special kind of noodle and Cha, like a meat ball. Many meat balls will be grilled and served right away. This interesting dish will be enjoyed with special sauce, which is similar to the one used for Rolled Pho. The sauce is composed of fish sauce, chili, garlic, and some young papaya. Some restaurants also use slices of carrot as well. 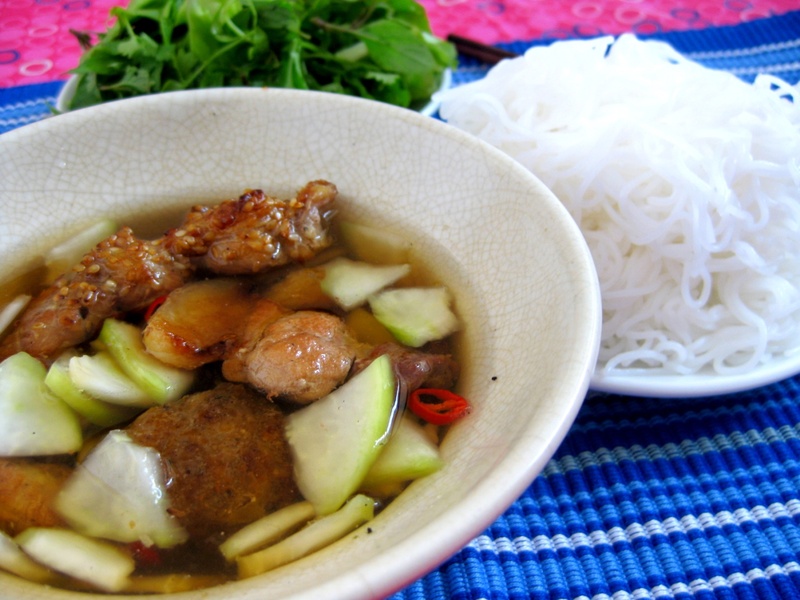 Like many other Vietnamese food, Bun Cha is eaten with many herbs, which makes this food even more attractive. In my opinion, the best Bun Cha shop in Hanoi is on Hang Manh Street, not in Tran Hung Dao Street where Barack Obama tried. However, you can visit both places and find your own answer. 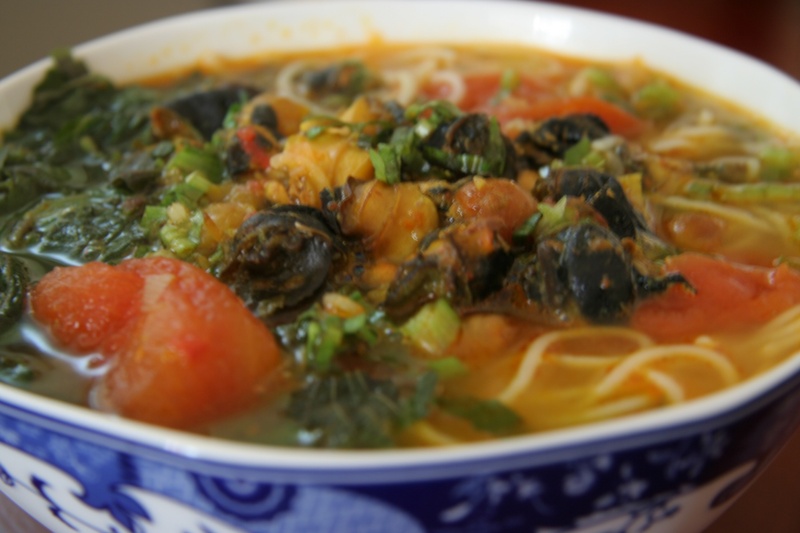 For dinner, you can enjoy a bowl of Bun Oc, which is noodle and snail. It is absolutely undeniable. 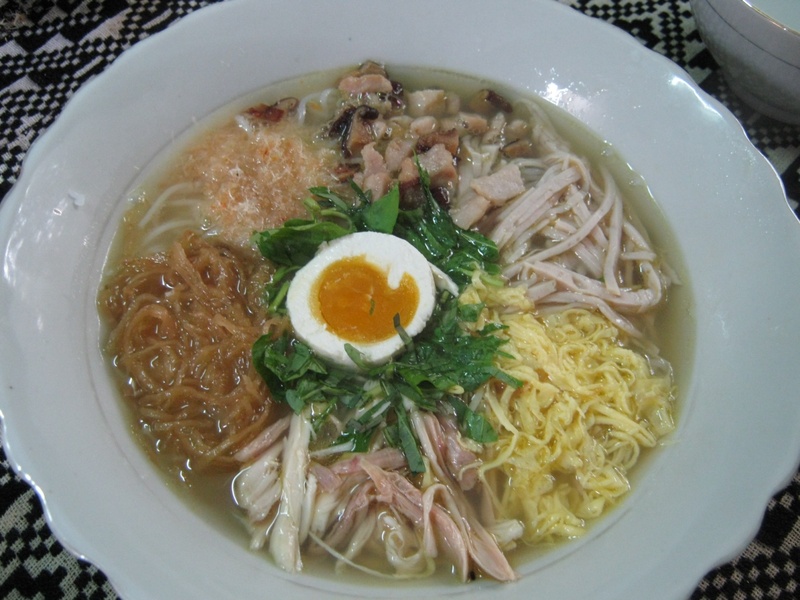 One of my friend said that when she came back Australia, she often dreamed of eating this wonderful dish. Bun Oc can be served hot and cold, which means you can eat bun in the soup (hot one) or bun with the soup separately (cold one). From my experience, no restaurant can beat the one on Bach Mai Street in term of Bun Oc. However, it is quite far from city centre. Approximately it takes you around 20 minutes by scooter from Sword Lake to there. Therefore, you might try the one near Truc Back Lake, the small lake near West Lake. It is a street vendor so it does not have exact address. However, don’t worry, you can find it very easily. You just need to go to Truc Back Lake, the side next to Chau Long Market. You walk along the lake and visit the most crowded Bun Oc vendor there. It must be this one. I hope you have enjoyed your foodie tour. See you next time with more delicious foods.